Your skin may have been supple and smooth when you were young because of natural resilience and an abundance of collagen and elastin stored in your body, but with advanced age, this changes. When you get older, your skin loses elasticity and firmness as these natural vitamins begin to diminish, which causes noticeable signs of aging, like fine lines and wrinkles on the face. At Novo Med Spa in Frisco, our cosmetic team performs a number of cosmetic and medical dermatological services, including Belotero Balance dermal filler. 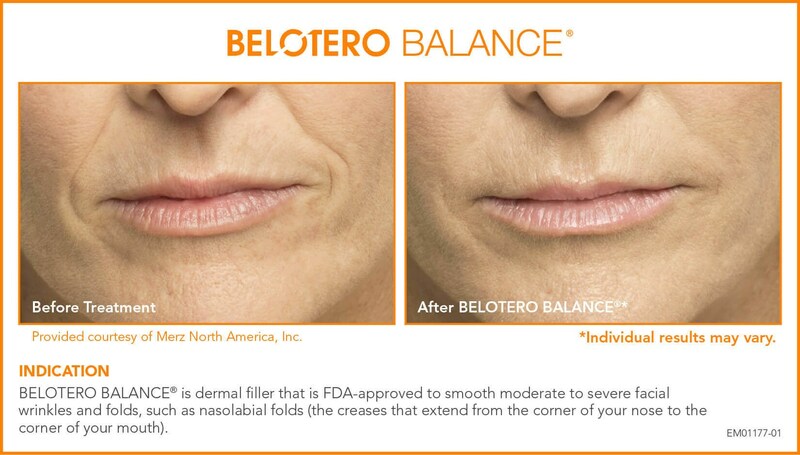 Belotero treatments are approved by the FDA to repair moderate to severe lines and wrinkles around the face, including stubborn, etched lines and the nasolabial folds near your mouth. A nonsurgical alternative, Belotero is a hyaluronic acid (HA) filler that offers a natural, refreshed look. Belotero Balance treatments are fantastic if you hope to correct the look of moderate to severe facial folds, lines, and wrinkles without opting for a surgical procedure, like a facelift. 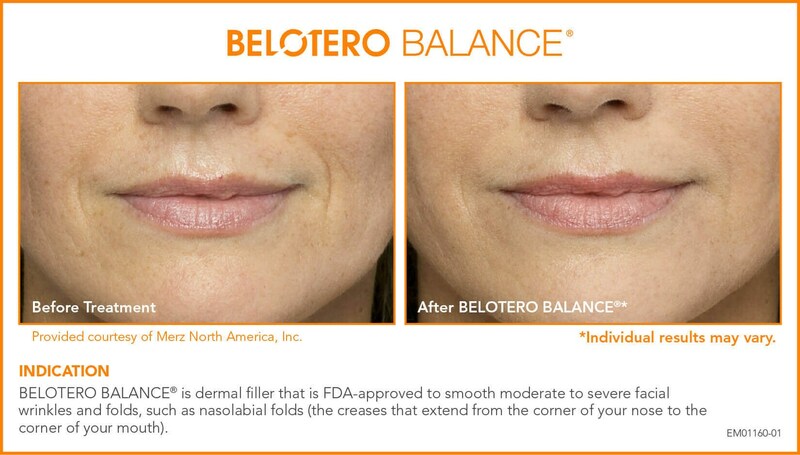 Belotero is especially great for addressing lines around the mouth, like the nasolabial folds and can be used to improve the area under the eyes to eliminate tear troughs lines. Before your treatment, we will consult with you to discuss your current medications, known allergies, and medical history to determine if you are an ideal candidate for Belotero. At the end of your consultation, you will be taken to our treatment area to receive your Belotero injection. Belotero is administered via a fine-gauge needle so most patients do not require topical or local anesthesia, but it can be requested during your consultation for greater comfort. The treatment sites will be marked and prepared before the product is administered in several, fast applications. We will apply pressure after each injection for a few minutes to stop any minor bleeding, but then you are free to leave and resume your normal activities. After your Belotero treatment at Novo Med Spa, you may have some mild bruising, swelling, and redness near the injection sites — this will fade naturally over the next week. You will notice some results right after your treatment that will continue to develop over the next two weeks. The results of Belotero usually last about six months so talk to our team about how to maximize your results with repeat sessions. Give your face a refreshed look in a minimally invasive manner with Belotero Balance injectable fillers by our talented cosmetic team in Frisco, TX. A quick and effective procedure, Belotero dermal filler injections can help you look younger without surgery. Contact Novo Med Spa to schedule an appointment so you can learn more about Belotero and begin your treatments as soon as possible.